� Be certain that goggles and gloves are worn. erant from the A/C system. instruction manual for operating procedures. 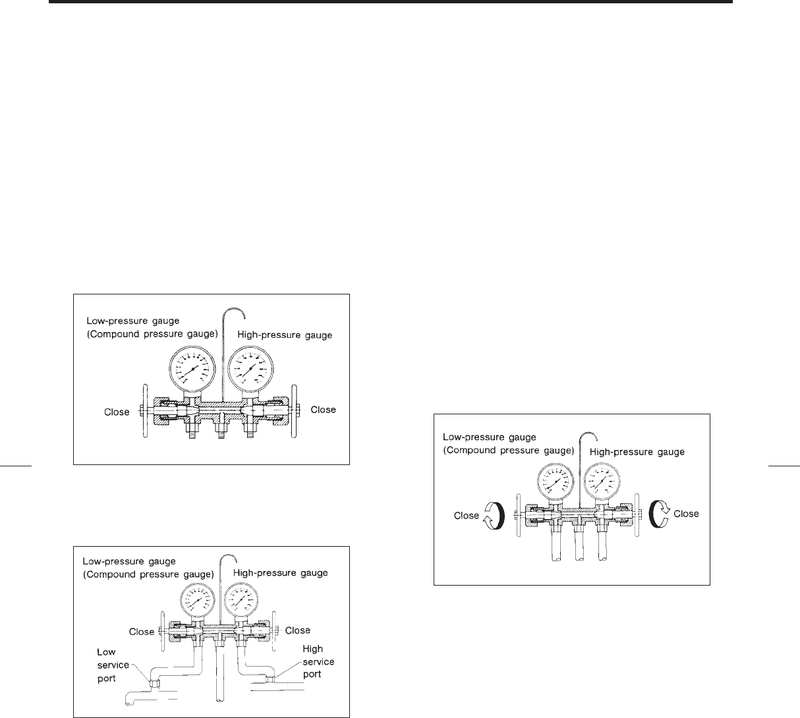 1) Close the high and low side manifold valves. the high and low services port on the vehicle. ery system to recycle refrigerant. 1) Be certain that goggles and gloves are worn. tem with the engine running. when the engine is running. high-pressure service port on the vehicle. 5) Turn on the vacuum pump.